Basement: Yes, Full "Great storage & laundry"
Year Built: 1935 "Completely renovated - Trendy!" FABULOUS CENTRE TOWN LOCATION AT THE CORNER OF LEBRETON ST NORTH AND ECCLES! WALK TO GREAT SHOPPING, RESTAURANTS AND PUBLIC TRANSIT. 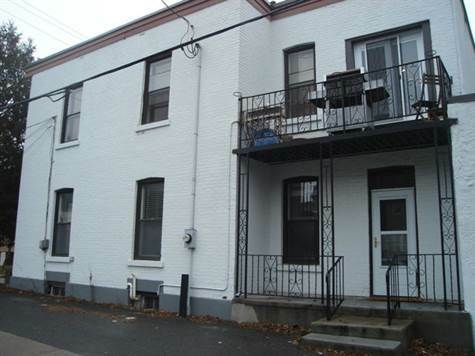 Trendy & super clean 1 BR, one bath main level apartment in 2-storey brick duplex in the heart of Centre Town. Completely updated w/spacious bedroom with ensuite bath & clothing wardrobes. Parking & utilities included in monthly rent of $1350/mo. Private storage in basement & shared on-site laundry also in basement w/easy access. Available January 1st - references & first/last month's rent required. Non-smoking/pet-free unit. CALL TODAY TO SET UP A VIEWING - DIANA MAYER 613-852-3243.